Microwave the butter and set aside. 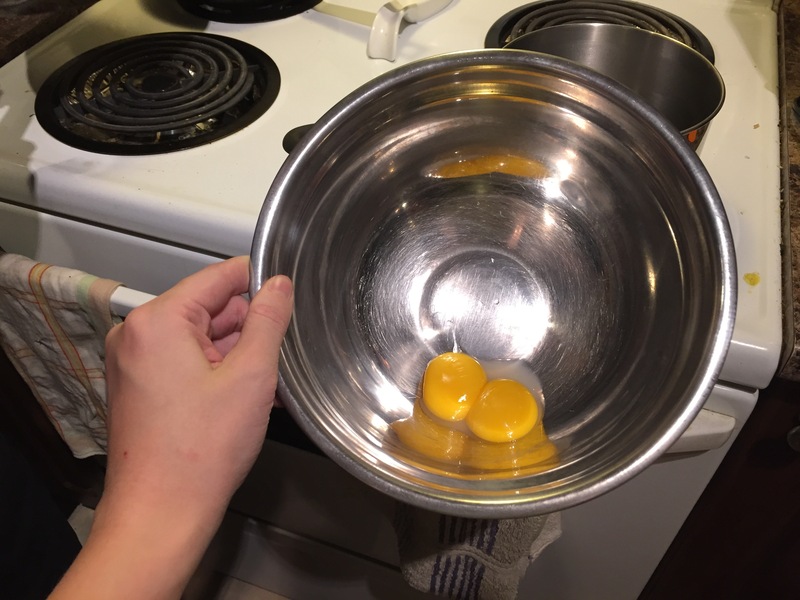 Separate the yolks into a glass or metal bowl. Add the water and lemon juice. Work together until mixed and slightly foamy. Put bowl over a pot with a small amount of simmering water (don’t let the bowl touch the water!). 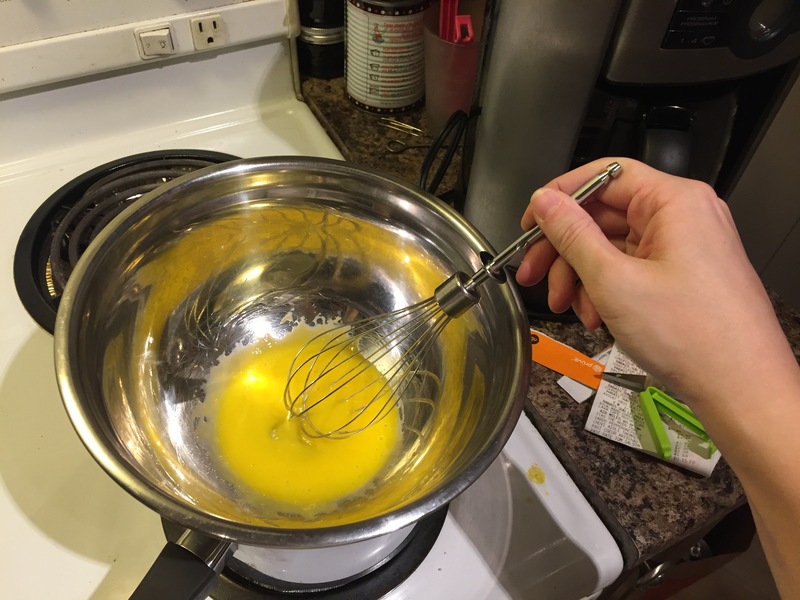 Wisk constantly until the egg yolks are slightly thicker, but before not to cook them into scrambled. 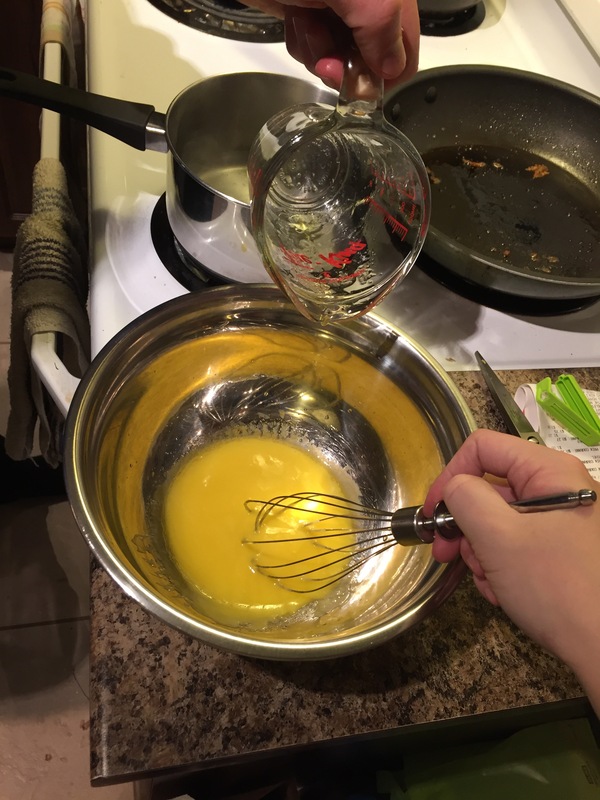 Remove the milkfats from the butter to only have clarified butter left in the cup. Remove the bow from heat. 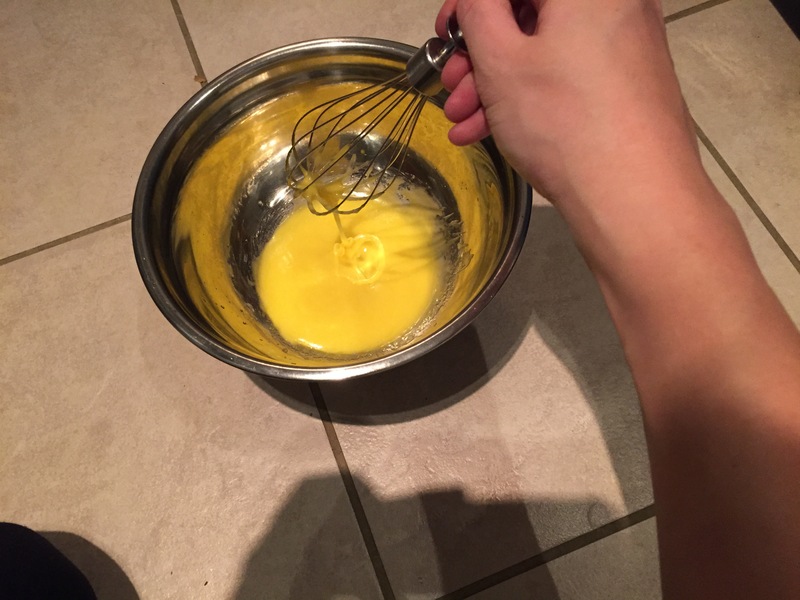 Slowly incorporate the butter until the mixture is like a thick syrup. 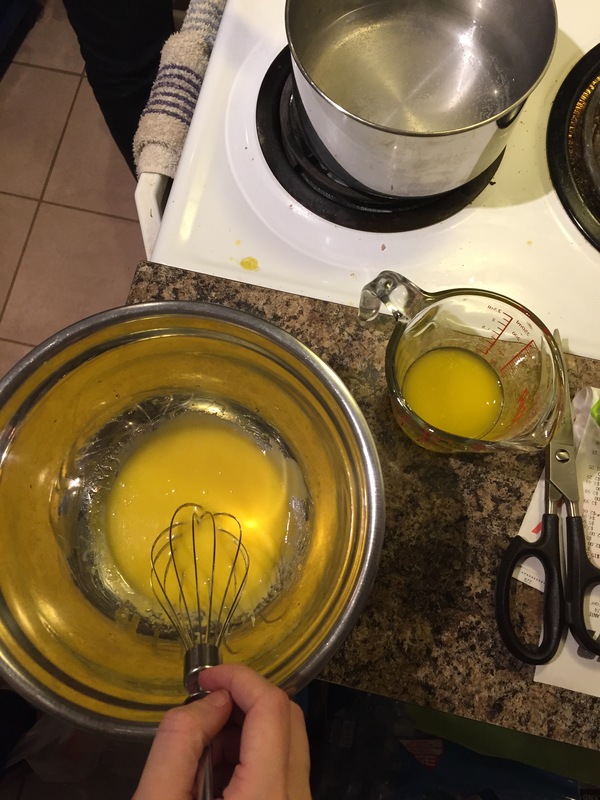 This recipe serves 1 hollandaise-loving ketonian, or 2 regular folk. Heck, you could even put a dollop on eggs Benedict and stretch it out to 8 bennies. Please know that even if your sauce ‘breaks’ and curdles, you can still eat it and it taste the same. I like to put this sauce over my veggies like asparagus or green beans, or paired with leaner meats like salmon to bring up my fat macro. 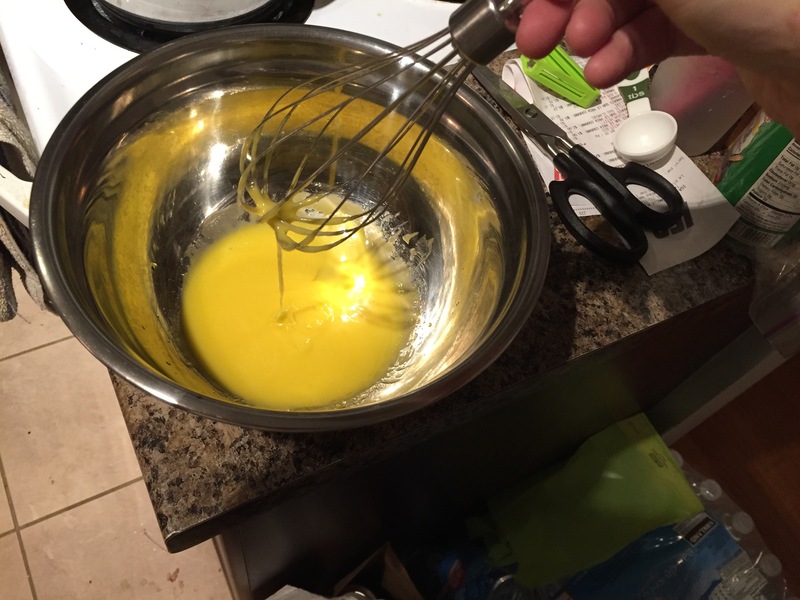 I also like to cook the egg whites separately in a pan, and poor the hollandaise sauce over them. Yumm!